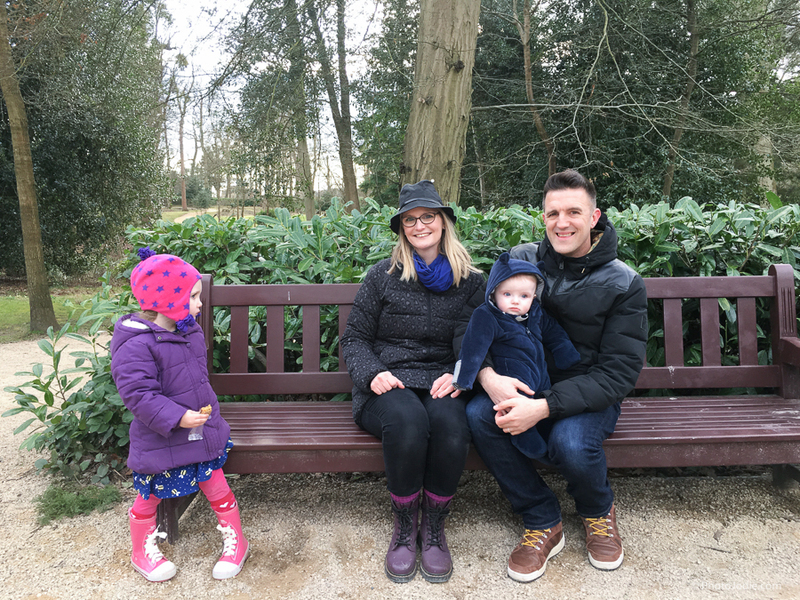 This week there has been a lot of chatter in the press about toddler tantrums and parenting styles so it feels particularly apt that my family photo I’m sharing for the February ‘Me and Mine’ project is a little bit different to the usual happy, smiley family photo I would usually take. 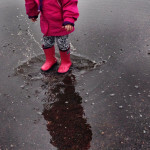 February seems to have flown by for us in a haze/daze of ‘husband away, daughter with Chicken Pox’ kind of blur. I joined the National Trust back in January in a moment of giddy optimism that we would be out exploring the Great Outdoors every weekend and life would be full of excellent photo opportunities. Yet the reality is it actually took us until the last weekend of February for us ALL to be at home together, with no other commitments and healthy enough to go out. Oh, and for the sun to be shining too. 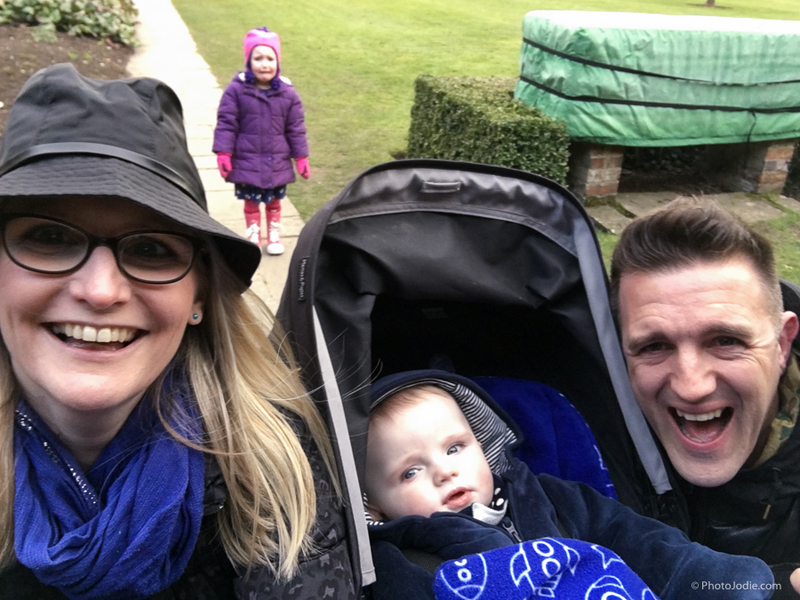 So we finally had perfect ingredients for a trip to Cliveden – off we went to explore and get a photo of us all having a jolly family time. Just. Look. At. That. Face! 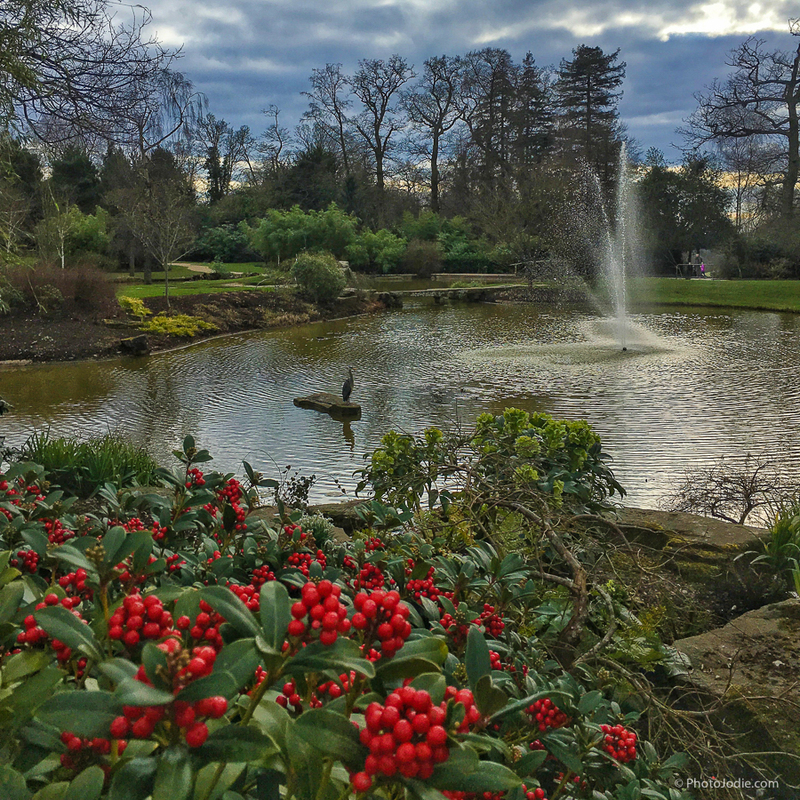 Taken in the grounds of Cliveden House. It’s an experiment with using a Selfie Stick (I feel like I look so daft when using it!). The plan was to get some of the amazing garden or architecture in the background with us in the foreground. Except I’d left it too late… we’d done so much exploring and the Little Lady had had so much fun that by the time we stopped to take a photo she had a bit of a ‘threenager’ moment. There was no way, for love nor money, that she wanted to join in and have her photo taken with us. But, power to the Selfie Stick, we got her in anyway! Super cheeky of me I know, but oh, so funny. Mr H was in hysterics! And here’s one of just the two of us. That face! The shruggy shoulders. Lets always remember the shruggy shoulders and remind her when she’s older! But, determined to get a happy shot I used bribery and coercion to get her to sit down with us on a bench (with a snack) and asked a stranger to take a photo. But she STILL didn’t want to join in! Three of us are having a LOVELY time…! Eventually we managed to grab one together, although I think the first one tells much more of a story about our family life! Sadly for her she caught Chicken Pox, but we’re lucky that she got it quite lightly and didn’t miss any important social occasions. (Birthday parties are a Big Deal when you’re 3!) Winter is a pretty good time of year to be quarantined – the grey and horrible weather meant that she didn’t mind being indoors. 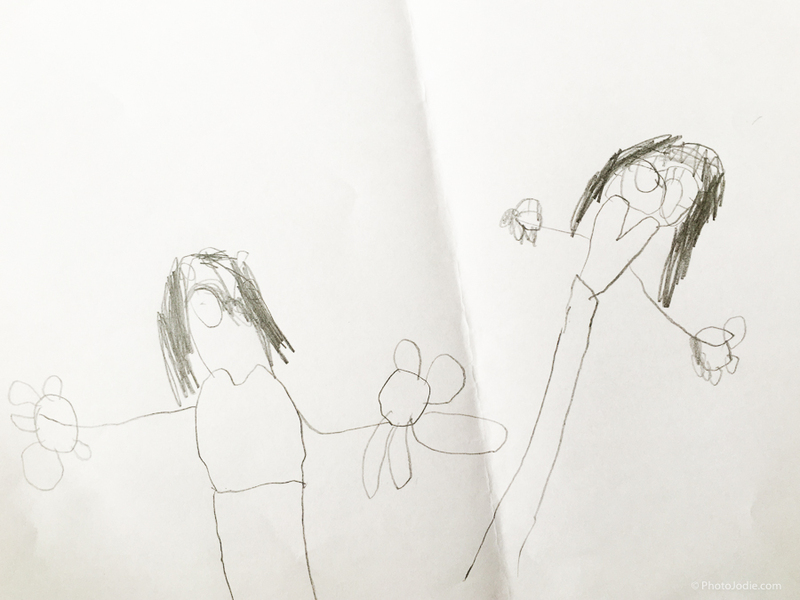 On the plus side she’s been developing her drawing skills lots and we’ve seen her pictures come on leaps and bounds. 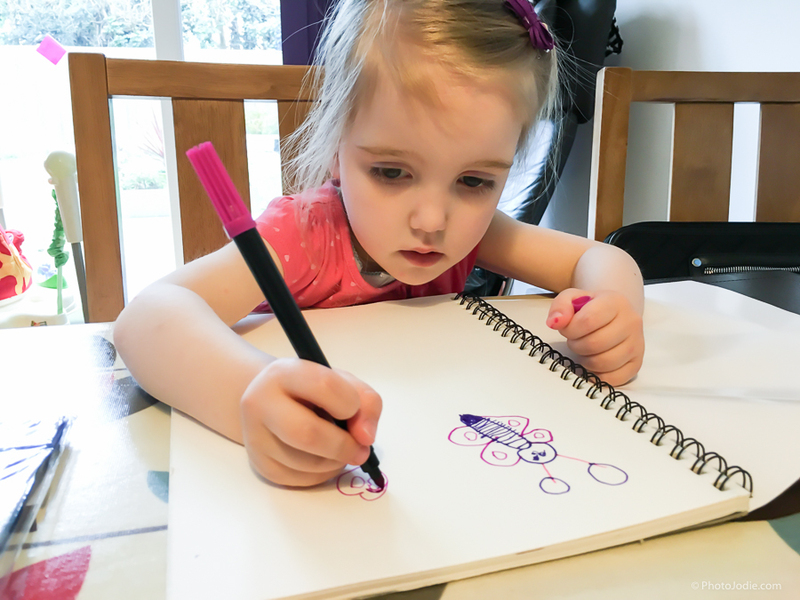 She’s been learning to draw all sorts of things… and colour in the lines too. Discovering a whole new world by rolling 180. 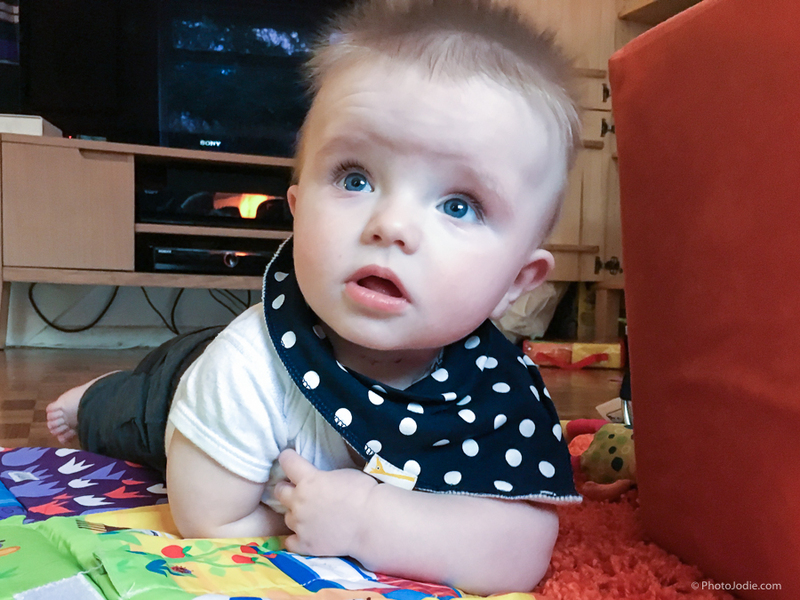 Last month I mentioned that he didn’t really seem to be doing very much… this month he’s made a huge developmental leap and has started to roll over independently which has blown his tiny mind. He can cope with about the first ten seconds and then gets a bit freaked out! Mr H had a work trip to Barcelona and was meant to meet and film Will.i.am (how jealous was I?!) But in the end that didn’t quite work out but he had a pretty awesome moment at the launch of the Samsung Galaxy S7 and saw hundreds of journalists go crazy as Mr Facebook himself, Mark Zuckerberg walked in! But all of this was surpassed by his amazing pancake art when he produced a My Little Pony Pancake for the Little Lady. What a Daddy Legend! 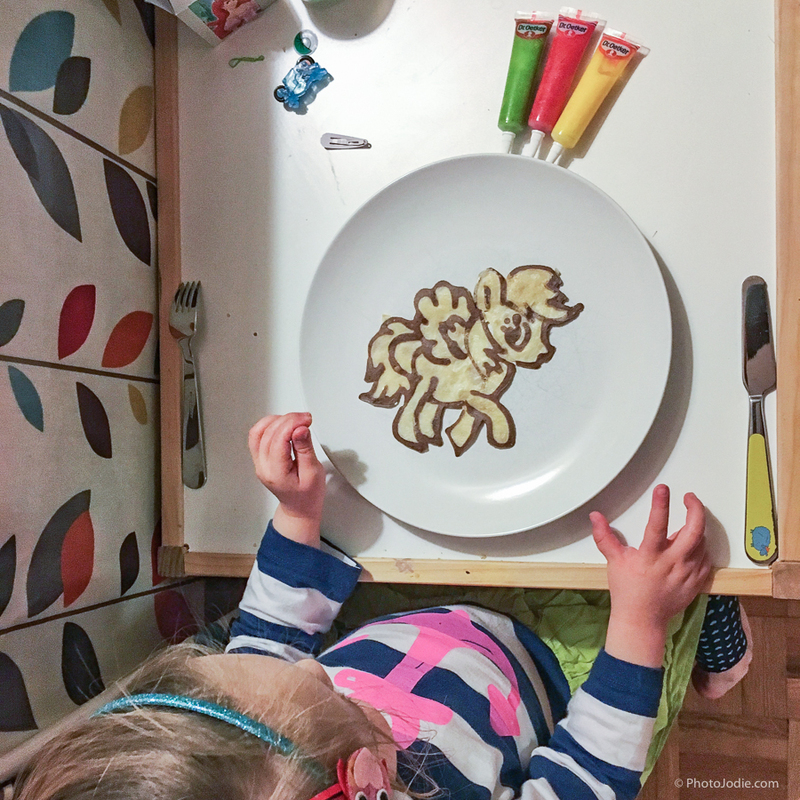 I couldn’t even draw a My Little Pony as good as this, let alone make one out of pancake batter! 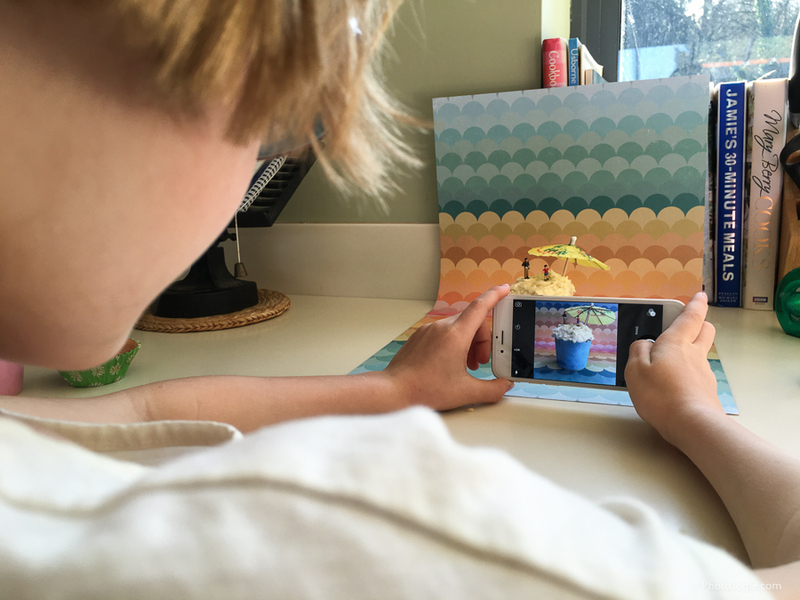 One of my happy moments in February was from a workshop that I ran with a 9 year old and a 12 year old about smartphone photography. It was great to see how quickly they picked things up and how creative they were when we practiced taking photos in different photographic styles. When we moved onto DSLR photography and taking portraits, they nailed that too! I walked away from the session feeling pretty proud that I had started them on their photographic adventures by teaching them to ‘think like a photographer’. Maybe they will both avoid the ‘must take another selfie’ stage that all teenagers seem to go through at the moment! 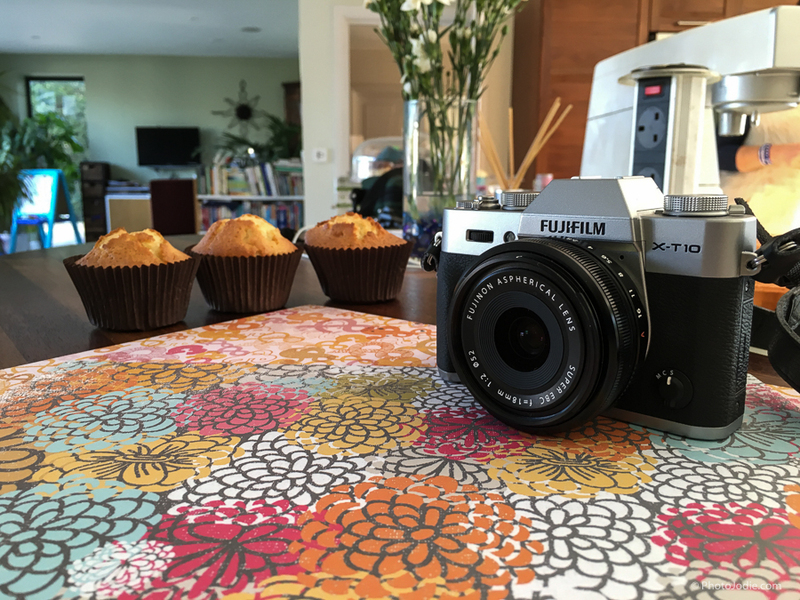 Photography and cake, what’s not to love! After a bit of theory it was time to practice and the kids were mega creative! 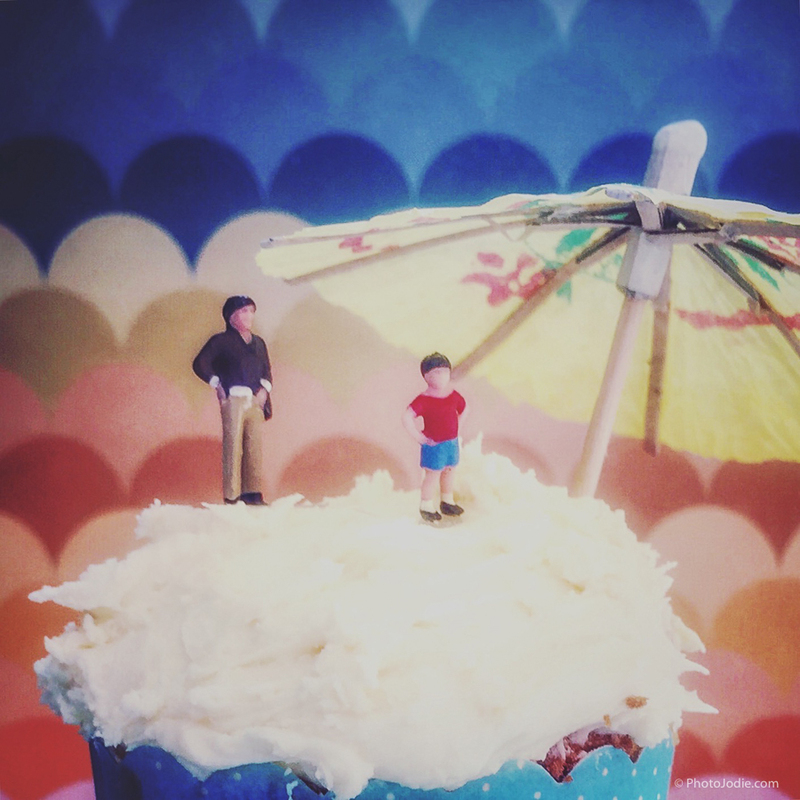 Cake made by Mum, backdrop from me… but the rest of the styling and editing was all her own work. Love it! 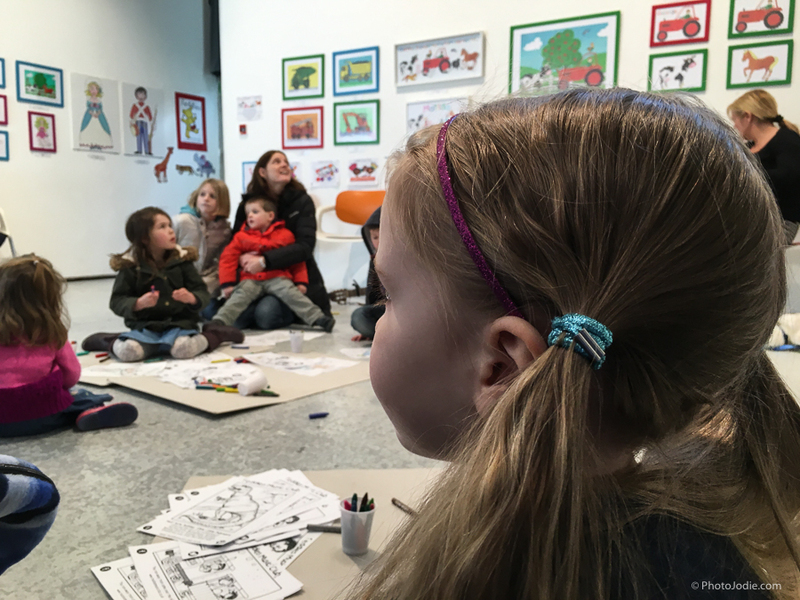 I’m really pleased that we’ve started to explore more family friendly activities locally and that this month’s ‘Me and Mine’ was taken so close to Maidenhead at Cliveden House. Because of being at home with a Little Lady ridden with The Pox I missed some of the fun things happening in town like the Pancake Day Race and the Chinese New Year celebrations, but we did manage to check out Teddies Music Club at Norden Farm in half term which was great fun and we’ve since been along to their Monday class too. At Norden Farm there were free sessions in half term which we thoroughly enjoyed. I appear to have a proper set of ‘chin ticklers’ here! 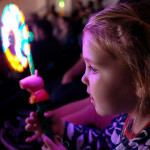 This post is part of a series where I link up with the ‘Me and Mine’ project that Lucy at the ‘Dear Beautiful Boy‘ blog runs. The idea is that each month you take a family photo of all of you and share a little bit about life that month. A lovely way to remind yourself to document life as it races past. Seeing as I’m often the one behind the camera, I thought this would be a great way of prompting me to make sure that I’m in the images for a change. Plus, by linking up with other bloggers doing the same project, it’s a great way to build and support the fabulous community of bloggers out there. You can see my January post by clicking here. 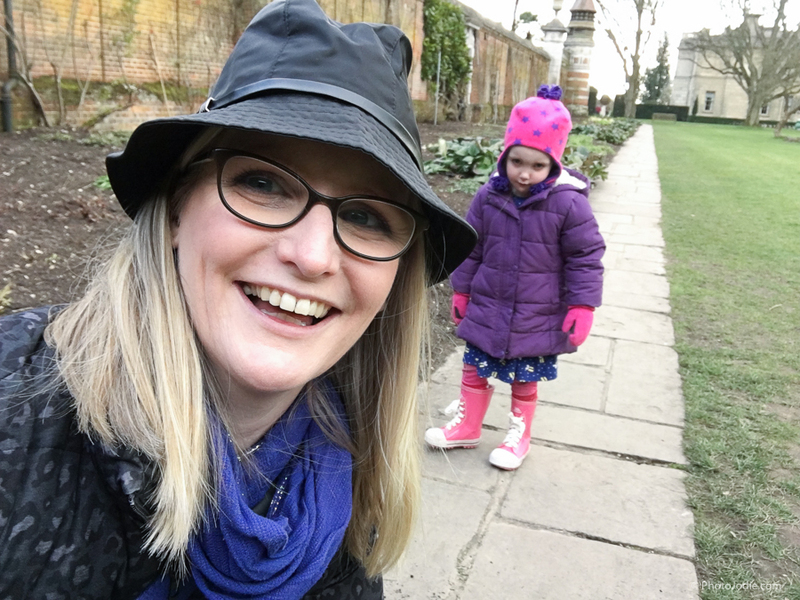 I write this ‘Maidenhead Mum’ blog to share my experiences of life here in Berkshire. To read my posts you might like to join my Maidenhead Mum Facebook page. You might like to head over to Instagram and follow me other or join in with the #lovemaidenhead photo community photo project that I co-ordinate (more details here) Or, if you subscribe using the box below you’ll get my blog posts delivered straight to your inbox.